Iron Fist hasn’t even made its debut on Netflix, but its star Finn Jones already has some ideas for the future of Marvel TV. Speaking to Nerdist, he floated the idea of a series centered around the respective teams Heroes For Hire and Daughters Of The Dragon. 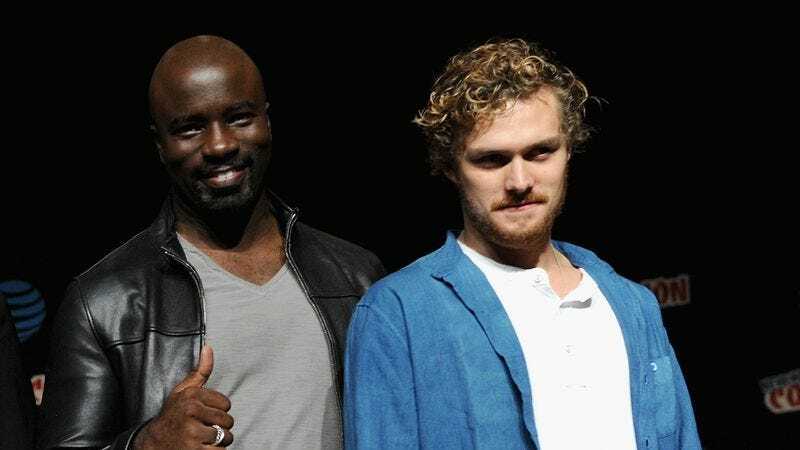 That would likely mean his Danny Rand teaming up with Mike Colter’s Luke Cage, and then joining forces with Jessica Henwick’s Colleen Wing and Simone Missick’s Misty Knight. “I think it would be awesome to see a television series with the Heroes For Hire and the Daughters [Of The] Dragon working together to take down crime,” he said. Now, mind you, all of the involved characters will be involved in the upcoming The Defenders, but it seems Jones is dreaming of something a little less sprawling. However, he’s also jumping the gun just a bit, considering Iron Fist is due to drop March 17.